An annual award &ldquo;for outstanding service to hockey in the United States.&rdquo; Eligible recipients are players, officials, coaches, executives and referees. Winners are selected by an award committee consisting of the commissioner of the NHL, an NHL governor, a representative of the New York Rangers, a member of the Hockey Hall of Fame builder&rsquo;s section, a member of the Hockey Hall of Fame player&rsquo;s section, a member of the U.S. Hockey Hall of Fame, a member of the NHL Broadcasters&rsquo; Association and a member of the Professional Hockey Writers&rsquo; Association. Each except the League Commissioner is rotated annually. The winner receives a miniature of the trophy. History: Presented by the New York Rangers in 1966 to honor the late Lester Patrick, longtime general manager and coach of the New York Rangers, whose teams finished out of the playoffs only once in his first 16 years with the club. Bob Crocker is the dean of New England hockey scouts. A graduate of Boston University, he later coached the team&rsquo;s first-year recruits before becoming head coach at Penn from 1973 to 1976. He then put in 15 years as an assistant general manager with the Hartford Whalers. Since then, he has been a scout for the New York Rangers and Los Angeles Kings, helping to win the Stanley Cup in 1994, 2012 and 2014. Jeremy Jacobs has owned the Boston Bruins since 1975 and is one of the most respected sports business leaders in the world. He has served as Chairman of the NHL Board of Governors since 2007 and serves on its Executive Committee. Jacobs is frequently cited as one of the most influential people in sports business. 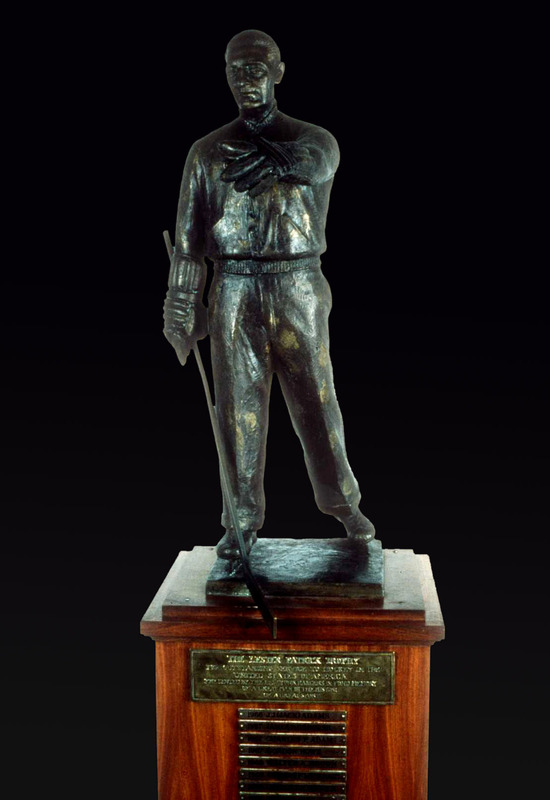 The Lester Patrick Trophy was presented by the New York Rangers in 1966. It honors the late Lester Patrick, who was a general manager and coach of the club. It is presented annually for &quot;outstanding service to hockey in the United States&quot;. Players, coaches, referees, and executives are eligible to receive the trophy. The winners are chosen by a committee consisting various officials, including the Commissioner (previously President) of the NHL, an NHL Governor, a representative of the New York Rangers, a member of the Hockey Hall of Fame Builders section, a member of the Hockey Hall of Fame Players section, a member of the U. S. Hockey Hall of Fame, a member of the NHL Broadcasters Association and a member of the Professional Hockey Writers Association. 1983-1984 John A. Ziegler Jr.
1973-1974 Weston W. Adams Sr.
1972-1973 Walter L. Bush Jr.